Dr. Gurubhagavatula is employed by Penn Medicine. D. Chirinos, I. Gurubhagavatula, P Broderick, J Chirinos, K Teff, T Wadden, G Maislin, H Saif, J Chittams, C Cassidy, A Hanson, AI Pack: Depressive symptoms in patients with Obstructive Sleep Apnea: Biological Mechanistic Pathways Journal of Behavioral Medicine 40 (6): 2017. Jain S, Gurubhagavatula I, Townsend R, Kuna ST, Teff K, Wadden TA, Chittams J, Hanlon AL, Maislin G, Saif H, Broderick P, Ahmad Z, Pack AI, Chirinos JA. : Effect of CPAP, Weight Loss, or CPAP Plus Weight Loss on Central Hemodynamics and Arterial Stiffness Hypertension 70 (6): 1283-1290,2017. M. Melanie Lyons, PhD, MSN, ACNP, Brendan T. Keenan, MS, Junxin Li, PhD, MSN, Tanya Khan, BA, Nabil Elkasabanny, MD, MSCE, Colleen M. Walsh, MS, Noel N. Williams, MBChB, MCh, FRCSI, FRCS, Allan I. 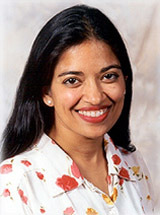 Pack, MBChB, PhD, FRCP, Indira Gurubhagavatula, MD, MPH: Symptomless Multi-Variable Apnea Prediction Index Assesses Obstructive Sleep Apnea Risk and Adverse Outcomes in Elective Surgery Sleep 40 (3): 2017. Indira Gurubhagavatula: The Sleepy Driver: Risks, Evaluation and Management UptoDate Online : 2016. JA Chirinos, I Gurubhagavatula, K Teff, DJ Rader, TA Wadden, R Townsend, GD Foster, G Maislin, H Saif, P Broderick, J Chittams, AL Hanlon, AI Pack: CPAP, weight loss, or both for obstructive sleep apnea New England Journal of Medicine 370 (24): 2265-2275,2014. MA Grandner, S Chakravorty, ML Perlis, L Oliver, I Gurubhagavatula: Habitual sleep duration associated with self-reported and objectively-determined cardiometabolic risk factors Sleep Medicine 15 (1): 42-50,2014. Q Maia, MA Grandner, J Findley, I Gurubhagavatula: Short and long sleep duration and risk of drowsy driving and the role of subjective sleep insufficiency Accident Analysis and Prevention 59 : 618-622,2013. A Platt, S Hurley, H Soto-Calderon, W Wieland, B Staley, G Maislin, I Gurubhagavatula: Hits and Misses: Screening Commercial Drivers for Obstructive Sleep Apnea Using Guidelines Recommended by a Joint Task Force Journal of Occupational and Environmental Medicine 55 (9): 1035-40,2013. M Sands, M Grandner, J Whinnery, BT Keenan, N Jackson, I Gurubhagavatula: The Association Between Obstructive Sleep Apnea and Hypertension by Race/Ethnicity in a Nationally Representative Sample Journal of Clinical Hypertension 15 (8): 2013. I Gurubhagavatula, BG Fields, CR Morales, S Hurley, GW Pien, LC Wick, BA Staley, RR Townsend, G Maislin: Screening for severe obstructive sleep apnea syndrome in hypertensive outpatients Journal of Clinical Hypertension 15 (4): 279-288,2013.